I got this recipe from a sweet woman named Margo Bowman who served in the women’s ministry. 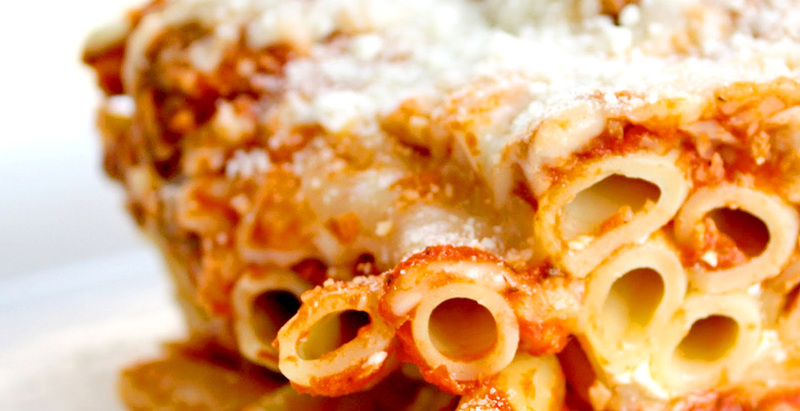 She passed this recipe along years ago and it is a family favorite—everyone loves it! I often use this recipe when I sign up to provide a meal to someone for illness, surgeries, or new babies. It’s simple but is such comfort food! 7. 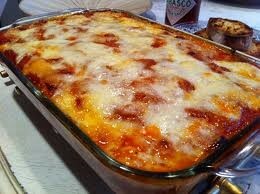 Spoon some sauce to coat bottom of 13x9 baking dish; spoon all of mixture into pan and pour remaining sauce over top. 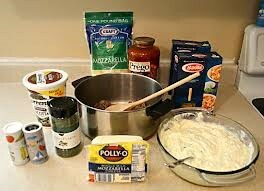 I usually add three to four Italian sausage links (I cook it in the same pan with the ground beef). This will make ten medium size servings or eight larger servings. I will usually substitute skim-milk Ricotta. This can be made in advance and refrigerated until ready to bake and serve. This dish is so simple yet hearty. If I am making it to drop to friends, I assemble it ahead of time and refrigerate it until right before I drop it off or depending on when they will eat it, I drop it off with baking instructions. Depending on how much time I have, I will use homemade sauce that Margo also taught me how to make or buy store bought. It also freezes beautifully and is a great dish for any week night meal!